A lack of diversity among photojournalists runs the danger of perpetuating clichés and crippling stereotypes, but the industry is slowly starting to address the problem. Chimamanda Ngozi Adichie was 19 when she left Nigeria for the United States to enroll in Drexel University. Her new American college roommate assumed that Adichie’s background meant she wouldn’t be able to speak English well (it’s Nigeria’s official language) and that she’d have a plethora of “tribal music” (Adichie’s favorite music at the time was Mariah Carey). “Her default position toward me, as an African, was a kind of patronizing, well-meaning pity. My roommate had a single story of Africa: a single story of catastrophe. In this single story, there was no possibility of Africans being similar to her in any way, ” she said, recalling the experience years later for a 2009 TED Talk. Adichie, who would go on to become a famed novelist, points to the problem of stereotyping distant lands, which she attributes to narratives of Western literature that often stigmatize non-Western people as impoverished and pitiable. This practice, however, exceeds the realm of novels. Scan most international documentary photography and a similar story emerges: one told from a primarily singular visual perspective rooted in a Westernized point of view. Lauded photojournalism organization World Press Photo (WPP) released its second “State of News Photography” report in November 2016, a document that addressed many key issues affecting contemporary photojournalists. Most striking was the fact that of the nearly 2,000 news photographers surveyed internationally, a mere 15 percent were female. Also concerning was the revelation that 65 percent were from Western nations, specifically Europe, the United States and Australia. These two statistics reveal that the vast majority of news images are produced by Western-born men. This is the dominant point of view through which the entire world continues to see and understand itself. It’s this singular visual perspective that Ecuadorian photojournalist Emilia Lloret sees as the central problem in the lack of diversity among photojournalists. “Instead of being a tool for social change…it becomes a tool of oppression, perpetuating clichés and crippling stereotypes like the ‘violent and dangerous’ Latin America, the ‘flies-in-the-eye malnourished child’ in Africa,” says Lloret. Making the problem worse is the constant struggle for local photojournalists to get equal access to assignments and recognition within an industry that caters to North American and European photojournalists. At a London fundraising gala in 2005, Alam was again left thinking that non-Western photojournalists are denied the same levels of opportunities and respect afforded to their Western counterparts. Even as photojournalists bear witness to the world’s oppressed, impoverished and deprived, certain questions must be contended with—namely, what do the visual stories being told imply about minoritized communities, and who should be telling these stories? In response to such concerns, Alam founded a documentary photography agency catering to photojournalists from and living in Africa, Asia, Latin America and the Middle East—what he terms the “majority world.” The agency, itself titled Majority World, acts as both a professional resource for often overlooked photojournalists and a place where a Western client base can acquire locally sourced images for publication. He’s not alone in recognizing the need for such organizations that provide opportunities for talented photojournalists from all nations and also offer imagery coming from varied viewpoints. Recently, WPP collaborated with Instagram-based photo organization Everyday Africa to create the African Photojournalism Database (APJD), a carefully curated list, several hundred names long, of working photojournalists native to and working on the African continent. In an attempt to address that problem, WPP produced the APJD and premiered a Latin American version of its revered Joop Swart Master Class, previously held only in Amsterdam for the master class’ 23-year history. All photojournalists invited to improve their craft at the Mexico City workshop were from Latin America, and at least two-third of the workshop instructors were also local to the region. Regional master classes in African nations that follow this same model have begun; Nairobi hosted a class in December and March will see a class Masterclass in Accra, Ghana. “There’s no way to flip a switch and radically alter the industry overnight,” Campbell acknowledges to Newsweek. Rather, it’s imperative to keep diversity on the agenda, always promoting it, considering it and connecting people and organizations wherever possible. It was the Mexico City Master Class that made the necessary connections for Lloret and Latin American photo editor Laura Beltrán Villamizar. In March 2016, Villamizar left a curatorial position at WPP to co-found Native Agency, an organization whose mission is to provide more resources and access for photojournalists in Latin America and Africa. Villamizar says it was her experience as a photo editor at the Mexico City Joop Swart class that spurred the move. There, she witnessed firsthand the mismatch between the photojournalists’ impressive talents and their lack of access to a client base or the professional resources to market their work effectively. One of her focuses with Native Agency is helping mentor female photojournalists, a project borne out of her own difficulties building a career in the predominantly male photojournalism world. Tara Pixley is a photojournalist and photo editor, as well as a media studies and visual culture scholar. Her research focuses on how implicit bias becomes written into American news discourse, particularly that of documentary imagery. She is currently a Knight visiting fellow with Harvard’s Nieman Foundation for Journalism and a contributor to #PhotoLab. Why African photographers don’t get to tell African photo stories in Western media. Whenever “Africa” is in the headline of mainstream US and European media sources, especially those that are highly regarded, I wince. I know the storyline is going to suffused by disappointment and resignation about Africa failing, once again. While the rest of the world and its modern inhabitants are technologising and digitising, happily going about wearing jeans and T-shirts, there goes Africa, backwards into some apocalyptic, scarred past, wearing embarrassing tribal garb. Sometimes, these media outlets allow Africa to come to the present, but of course, in dubious ways: embedded in the flow of “Islamic” terror-narratives: Nigeria and Boko Haram, Libya and its violent insurgents, Somalia and its troublesome “Islamic fundamentalists” raiding Kenyan universities. It’s as though the editorial board is shaking its collective head with an exasperated sigh, and showing us, with a lavish, full-colour photograph, exactly why they are frustrated with the entire continent. Sometimes, though, I’m just confused. For instance, the influential New York Times recently published an article titled “Who Is Telling Africa’s Stories“, covering efforts to develop photojournalism in various African countries. The writer, Whitney Richardson, a photo editor for the paper, provided some contradicting points: Happy news about the growing number of talented photographers coming out of photography training institutes and collectives based in countries with divergent histories and presents – Ethiopia, Kenya, Nigeria, South Africa – but also that these photographers do not produce work that is “professional” enough for agencies to hire them. Richardson offered some insight into continuing problems that locally based photographers face getting international news agencies’ attention. 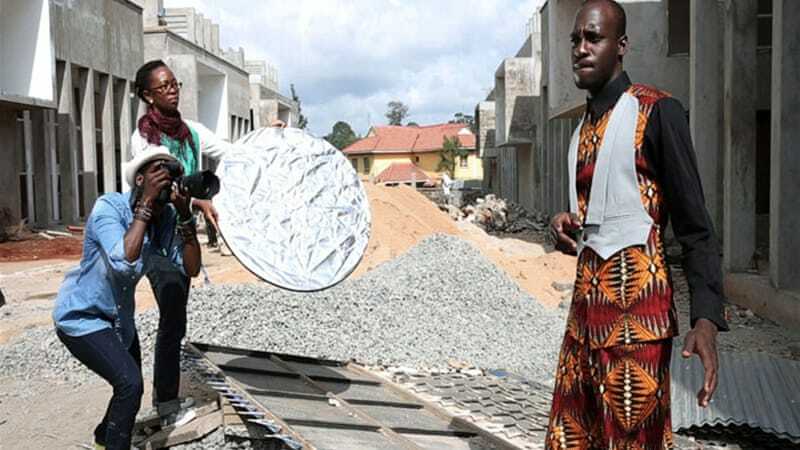 What emerges as a solution is the need for young photographers to get international exposure, where, according to acclaimed photographer Akintunde Akinleye, they may also “learn the ethical standards of the industry”. The takeaway: unless international news agencies based in North America and Europe such as the Associated Press, Reuters and Agence France-Presse pick your work, you are a nobody. Yet, it is these very agencies that contribute to problematic views that simplify Africa into a repetitive trope. Africa remains a monolithic space of violence and poverty uncomplicated by global politics and military action, because the images and narratives chosen by powerful news agencies and newspapers continue to speak to foundational myths that Europe (and white ex-colonists and plantation owners in America) manufactured about Africa, in order to better ease their conquest and exploitation of a regionally, politically and socially complex, dynamic continental shelf. If the construction of the African as child-like, or not quite human, who has little agency or intellect, aided the colonial project, today, the narrative continues to aid the construction of the European self as civilised, maintaining the African and Africa as the location of savagery, helplessness, and devastation. It also creates Europe as a desirable location that those who have no agency and have done little to better themselves attempt to infiltrate – much to Europe’s chagrin. And when it comes to payment, there are further “uncomfortable” discrepancies that international agencies never reveal: “When we do get assignments, they want to pay us less because we are from the country; but for a foreign photographer, they will not blink to pay an arm and a leg,” adds Muluneh. In Richardson’s piece, the prevailing view is that even though top photo agencies are looking for local photographers to “offset costs”, the Africans do not compare to western photographers. Alice Gabriner, Time magazine’s international photo editor, expressed disappointment with African photographers (note, again, an entire continent’s photographers are lumped together), because they lack “completed bodies of work”. Besides Muluneh’s DFA, which also runs AddisFoto Festival, there is Market Photo Workshop in South Africa, The Nlele Institute in Nigeria, The Nest Collective in Kenya, among others. Despite the existence of photographers and journalists from African localities, they are not the go-to people that agencies based in the geopolitical West seek out. The New York Times’ reporters-in-Africa, Nicholas Kristoff and Jeffrey Gettleman, or R W Johnson, the London Review of Book’s go-to fave on South Africa, spin a good Africa story, seemingly with little self-critique, and with little thought to consequences. The ideologies behind the image narratives and stories in English language news sources are presented matter-of-factly, with little resistance from alternative media in the US and Europe; although they often contain deeply problematic perspectives of significant issues, they are trotted out on a regular basis, whenever there is a “crisis” involving Africa. If we ask a photojournalist or a photo editor how old narratives constructed in order to aid slavery, exploitation, and colonisation, as well as current efforts to extract resources, continue to inflect themselves into how we conceive of Africa and Africans today, in current photo spreads, we’d draw blank stares, or be the recipient of hostile, defensive responses. That lack of critique is partly owing to the fact that photo narratives reference prevailing problematic, and often racist, views; even those with expensive educations that taught them to be critical, those who hold influential photo-editing positions at the world’s most powerful news companies, still subscribe to these views, consciously or unconsciously. For instance, only months before publishing “Who is Telling Africa’s Stories,” The New York Times published a photo essay with the troubling headline “Stepping Over the Dead on a Migrant Boat” by Rick Gladstone and Aris Messinis. The story focused on African migrants who had crossed the Mediterranean in an attempt to reach Europe, but ended up dying in a capsizing boat. The photo essay appears, at first, to highlight the migrants’ plight. However, the way in which they are portrayed, along with the provocative headline, made their desperate attempts to reach safety appear callous and inhuman (because what civilised person would step over the dead?). The survivors who scrambled to get to safety are depicted as broken humans, at best, or those with unformed psyches that permit acts of barbarity that the Western “we” would never consider. Photo-narratives such as “Stepping Over the Dead” bring up many familiar, and troubling, tropes common to the prevailing narratives about Africa. They teach a new generation of readers to view the African as an “other” to be pitied or feared. How can African photographers hope to get work or recognition without reproducing expected stereotypes? Can they do so without the accompaniment of writing that exposes European or US governments’ interference and military presence – as in the case of Somalia, Mali, CAR, Djibouti, and Chad – or destabilisation efforts and military campaigns – as in the case of Libya? Instead of leading the story with the dearth of Africa-based agencies, and offering the need to get recognition in North America and Europe – itself a problematic solution, available mostly to those who are already from middle and upper-class families who are well-connected enough to navigate visa and immigration regimes, not to mention galleries and art world sharks – why not offer better solutions? Photographs have traditionally been regarded as “evidence”, or even as providers of indisputable “truth”. And there is little doubt that the present generation reads the world almost exclusively through images. In this age, where images play a significant role in how we read the world, photographs that accompany news stories have even more influence. But the practice of reading, in which we currently engage, is undergirded by consumer practices; it is carried out with little critical ability, and with little historical understanding about how and why readers’ image repertories, and their thought processes are influenced by material cultures – including photography – that aided violent, imperial histories. But because photography is seen as a “truth-telling” medium that reveals without bias, audiences and photographers themselves are unaware of how the narratives they help create continue to be inflected with the same stories that enabled Europe’s construction of the African as a savage or helpless, the “other” needing the disciplinary forces of Western civilisation to tame and aid their unruly bodies and psyches into modernity. When Muluneh was recently interviewed by a local radio station, she was asked how she was able to photograph “the good” things about Ethiopia, “as well as the bad”. Muluneh explained to her interviewer that the “bad is the easiest thing to document”. Perhaps that’s something The New York Times’ photographers need to hear in a critical skills workshop. M Neelika Jayawardane is an Associate Professor of English at the State University of New York-Oswego, and an Honorary Research Associate at the Centre for Indian Studies in Africa (CISA), University of the Witwatersrand (South Africa). She was a senior editor and contributor to the online magazine, Africa is a Country, from 2010 to 2106. Her writing is featured in Transitions, Contemporary And, Art South Africa, Contemporary Practices: Visual Art from the Middle East, and Research in African Literatures. 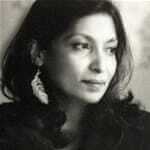 She writes about and collaborates with visual artists.